1. Darwin realized that for a species to survive, its members must? 2. 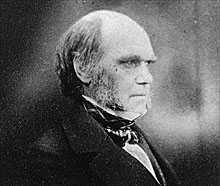 Darwin's term to describe the ability of an individual to survive and reproduce was? constantly struggle against each other for things they need to existence. support and protect each other in order to survive long enough to pass on their genes. 4. Darwin discovered that farmers had greatly altered and improved domesticated plants and animals through? 5. According to Darwin, living species? 6. Evolution by natural selection produces species that? 7. The survival of organisms with positive variations is called? 8. What did Darwin conclude from his study of fossils? 10. What does survival of the fittest mean? Email Mr. Mugan | Updated February 7, 2005. | Strive to be happy.